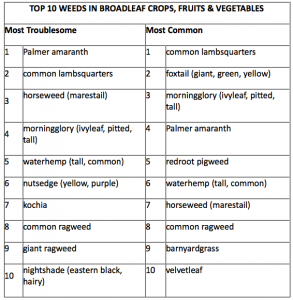 Results of the 2016 Weed Science Society of America weed survey for broadleaf crops, fruits and vegetables are in. 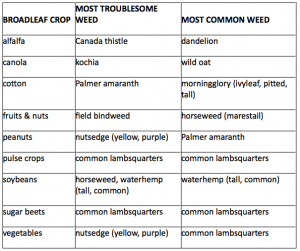 Across all crops, Palmer amaranth was the most troublesome and difficult to control weed, and lambsquarters was most common. 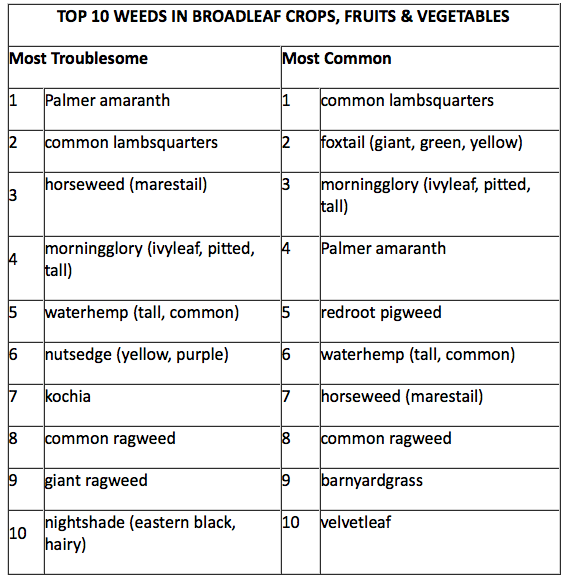 In soybeans, however, marestail and waterhemp were the most difficult to control, and waterhemp was the most common. 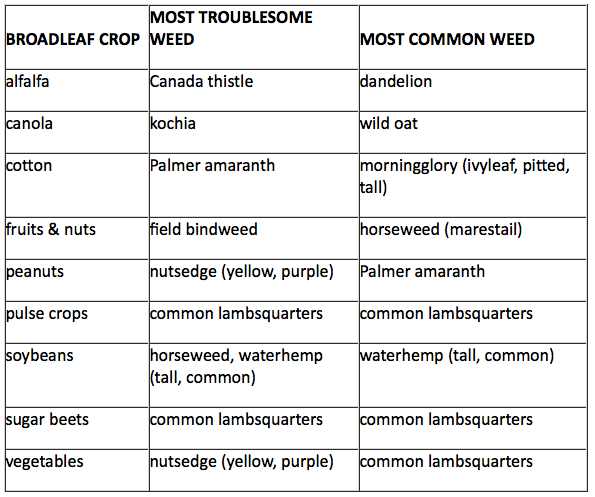 All of these weeds except lambsquarters are difficult to manage in soybeans for a combination of reasons – complex biology, prolific seed production, extended periods of emergence, and a tendency to develop resistance to multiple herbicide sites of action. So if you’re still struggling with marestail (aren’t we all), you’re not alone. If you’re still struggling with lambsquarters in soybeans, we extend no sympathy here – take two residual herbicides and call us in the morning. Posted by loux.1@osu.edu at 9:52am Bookmark the permalink.